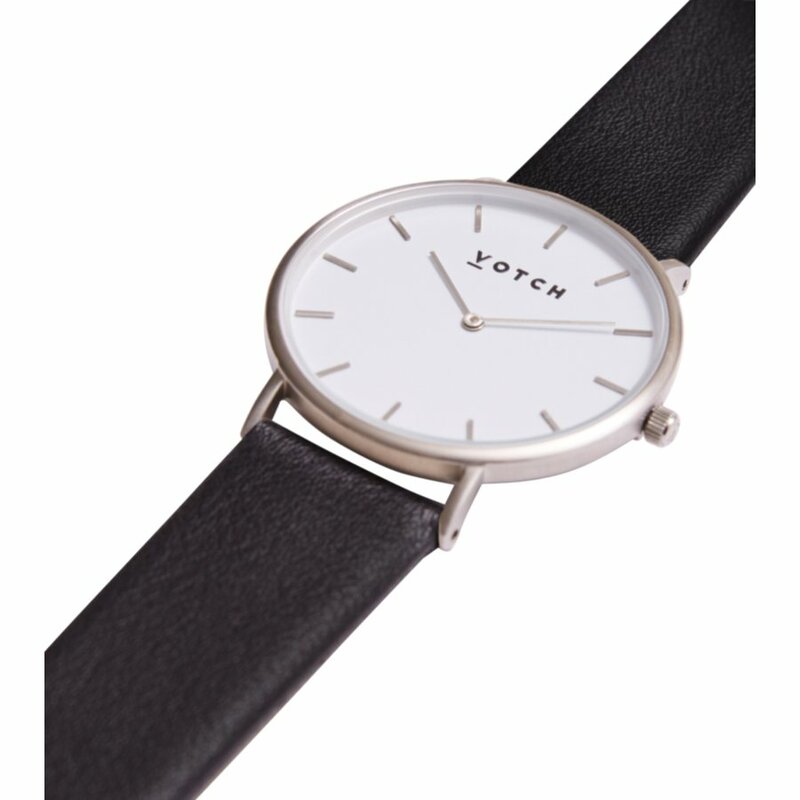 Classic style brushed silver watch with a vegan leather black strap, from London based brand Votch. The classic timepiece uses a Japanese GL20 movement and is 3ATM water resistant, suitable for daily wear but not safe for showering, bathing or swimming etc. 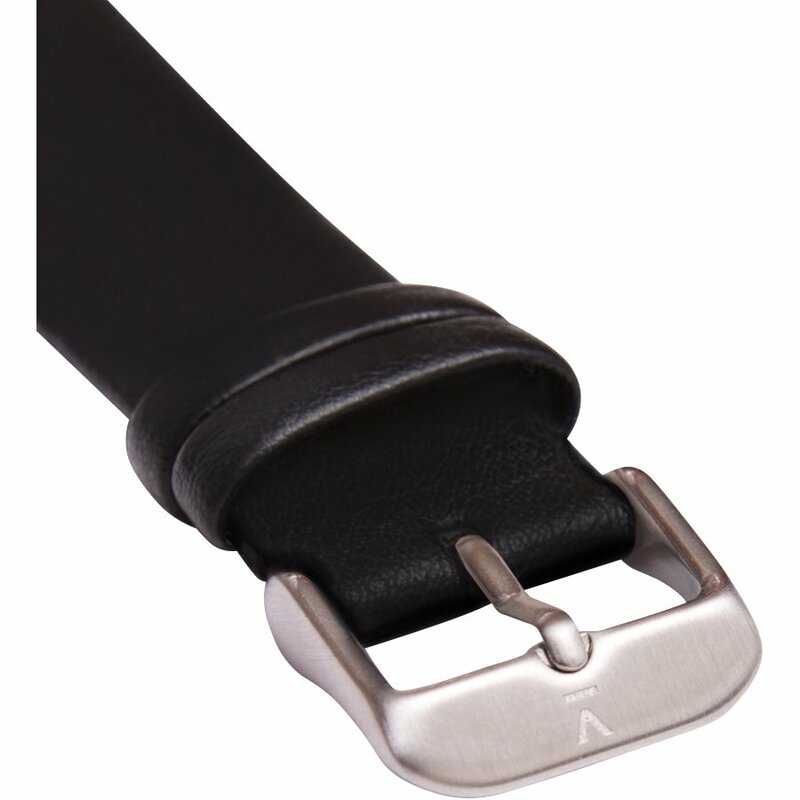 The watch face measures 3.8cm and the strap, made from a PU and cotton microfibre blend, is 2cm wide with a length of approximately 17-21cm. 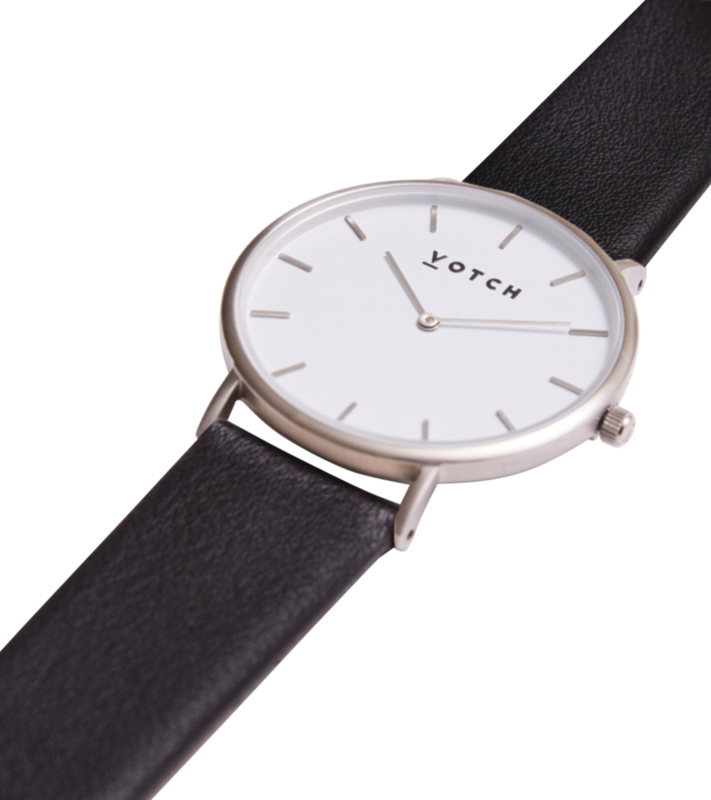 The watch is made in China in a factory that meets Votch’s high standards, paying fair wages and offering promotion opportunities along with good facilities for staff. For every watch sold, Votch donates 10% of profits to a like-minded charity of their choice, changing their partner charity every three months. 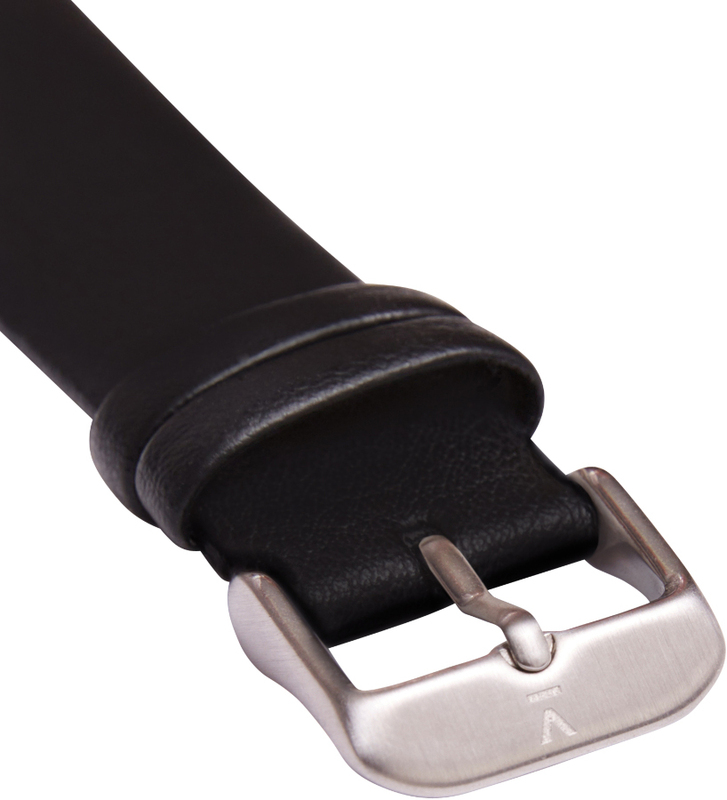 The Votch Classic Collection Vegan Leather Watch - Black & Silver product ethics are indicated below. To learn more about these product ethics and to see related products, follow the links below. 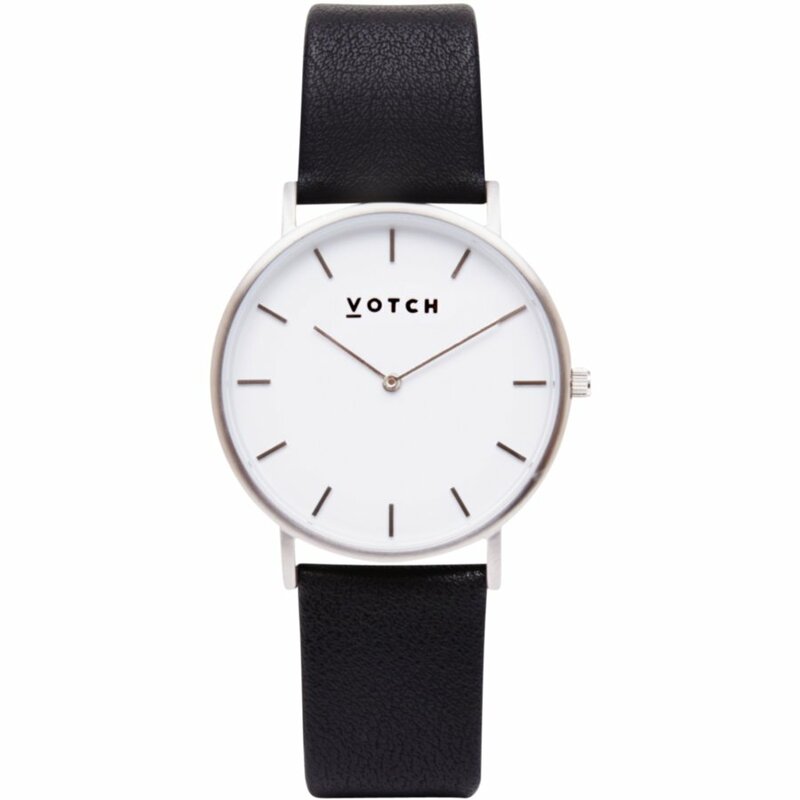 There are currently no questions to display about Votch Classic Collection Vegan Leather Watch - Black & Silver.